Riverdale Self Storage by Daniel is a family owned and operated storage facility dedicated to providing the best customer service satisfaction in the Morris and Passaic County areas. We provide clean, affordable, secure units ranging from 25 sq. ft. to 300 sq. ft. We offer competitive pricing with long and short-term leasing options. Our office is open and staffed 6 days a week, including computer monitoring and password-controlled gates. Storage sizes available for file storage, work tools and equipment, small and large office furniture and equipment as well as inventory and samples. 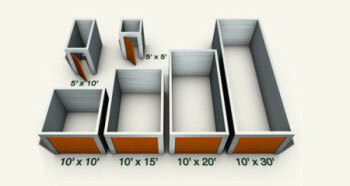 Storage sizes available for boxes, dishes, tools, clothing, furniture,seasonal items and more. Garages available to store cars, motorcycles and small. * Some additional sizes available. Unit sizes listed are approximate.